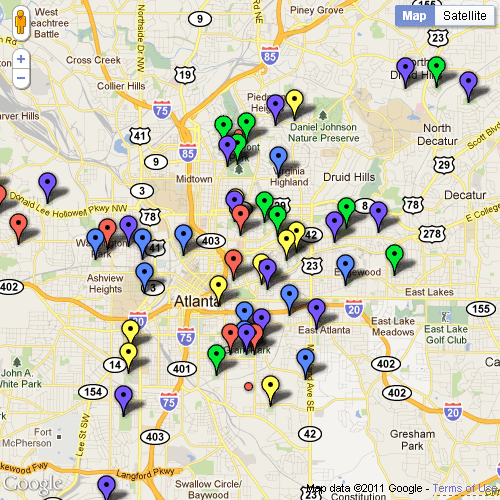 Discover Atlanta’s best playgrounds! Browse the map below (or the large map Playground Finder) to find a playground. Search for a playground by location or rating. Click to see a review or post a comment. Or, navigate using the links on the right. The “tag cloud” at the bottom of the page helps you find playgrounds with certain features. Be sure to check out the blog! Playground not listed? Visit the contact page and let us know. We’ll add it to the top of our to-review list!